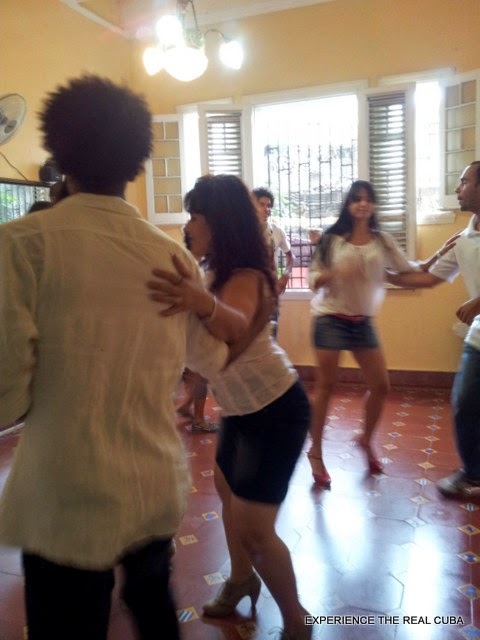 DO YOU WANT TO LEARN TO DANCE IN HAVANA? 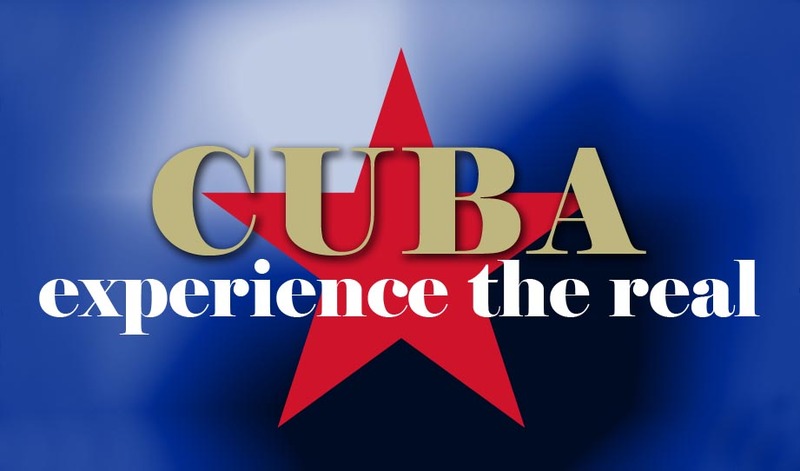 Experience the Real Cuba have recently teamed up with Yoanka at SalsAmiga All Star and are excited to share the news! Together we can now organise professional and fun dance lessons in Havana, Cuba. Yoanka and I are both determined to welcome you and offer unforgetable holiday experiences in Cuba. WHY SHOULD I TAKE DANCE LESSONS WITH YOU? Yoanka has been running the dance school for 5 years and has built up a team of professional dance instructors. If you take lessons with us it will allow you the opportunity to interact with magnificent dancers as well as arm you with the necessary knowledge to experience and enjoy the best of Havana's nightlife. The dance school is in the heart of Vedado, Havana, Cuba where professional instructors and experienced dancers teach you in a friendly and relaxed environment. WHAT TYPE OF DANCE LESSONS DO YOU OFFER? We can organise a variety of Cuban dance classes; Salsa, Son, Rumba, Folklore Chachacha, Rueda de Casino etc. Whether this is your first time dancing Cuban style or not it really doesn't matter. We offer lessons to beginners, intermediate and advanced dancers. If you are a beginner, you will learn the necessary dance skills, which will help you develop a natural dance style and improve your confidence. Whereas, intermediate and advanced dance students will be able to improve their dance knowledge, rhythm or footwork. HOW LONG ARE THE DANCE LESSONS? The dance lessons are minimum 90 minutes or maximum 120 minutes. You can choose to take a personalized dance lesson, a private dance lesson or in a group with qualified and professional instructors and experienced dancers. WHEN IS THE DANCE SCHOOL OPEN? The dance school is open and offers dance lessons in Cuba seven days a week. HOW CAN I BOOK DANCE LESSONS? If you are interested in taking dance lessons in Cuba, please contact Rena at experiencetherealcuba@gmail.com for more information / reservations. CAN I TRANSIT IN LAX STRAIGHT OUT OF CUBA? Damien Leis from Australia contacted Experience The Real Cuba in May 2014 looking for travel advice to Cuba. He wanted to fly from San Juan, Santo Domingo to Cuba and then onto Los Angeles and wanted to know if he could reliably transit in LAX straight out of Cuba. I contacted Damien after his trip to Cuba to find out about his Cuban travel adventure. WHAT MADE YOU CONTACT EXPERIENCE THE REAL CUBA? I found the information on the Experience The Real Cuba blog to be real and down to earth, great quality. This type of information is very difficult to find anywhere else on the web, even the large sites like Tripadvisor and Lonely Planet. Dealings with ETRC were very personal and the support and response times to queries were excellent. All this is very important for travellers from Australia who generally feel that Cuba is a mystical place and therefore take extra precaution. WHAT KIND OF INTERNET SEARCHES DID YOU DO? The normal Google and Bing searches. I enquired with travel agents in Australia who offered zero information on Cuba. WHAT WAS THE BEST FLIGHT IN / OUT OF CUBA? We decided to fly via the Bahamas (Turks & Caicos Air to Nassau, Bahama Air to Havana), this gave us an opportunity to see that part of the world as well! Booking flights online into Havana is a little tricky, there are a lot of smoke and mirrors. It takes some effort to get the best deal without going around the world. I also got caught out by the 72hr booking window with Cubana Air. WERE YOU ABLE TO GET A CUBAN TOURIST CARD FROM THE AIRPORT IN NASSAU? Obtaining the Cuban tourist card was easy in the end. We flew Bahamair from Nassau to Havana, we paid/obtained the Cuban tourist card at the check-in counter at the same time as receiving our boarding pass (about USD$16 each or similar), it was a mere formality. DID YOU GET A CUBAN STAMP IN YOUR PASSPORT? Yes, they stamped the passports of all three of us on arrival in Cuba! I was expecting (hoping) that they would not stamp my passport. I read that not stamping passports in Cuba was normal and they only stamped if you asked for it. WHAT WAS YOUR CONCERN ABOUT HAVING A CUBAN STAMP IN YOUR PASSPORT? My concern was that my return flight was via LAX whereby I needed to clear U.S. customs and re-check all baggage. However, even with a Cuban stamp in my passport there were no dramas (we flew Puerto Vallarta Mexico direct to LAX). I met a New Zealand lady in Cuba who was on her way to a conference in Florida, I understand that she was going via the Bahamas to avoid any U.S. immigration issues. I think it only gets complicated if you wish to fly direct into the U.S. from Cuba, as they treat you as a U.S. citizen and therefore need a special purpose permit to go to Cuba. Its only 'charter flights' flying direct between U.S. and Cuba and they wouldn't let you on without the required permits in any case. I was coming from the US Virgin islands and the best way I found to get to Cuba (without a permit) was via Bahamas or Santo Domingo (Dominican Republic). DID YOU DRIVE AROUND CUBA? No, however I would not hesitate to drive in Cuba in the future (it doesn't seem that complicated). We ended up using a driver that was arranged by the Casa ($25pp and $15 for our 3yo son) to travel from Havana to Trinidad and then Trinidad to Varadero. HOW DID YOU GET FROM VARADERO TO HAVANA? In Varadero we were tempted to try the Viazul bus and actually arrived at the Viazul bus terminal with plenty of time. We were approached by a taxi driver who asked how much we were willing to pay to get back to Havana, he then approached a group of other drivers who took the fare (40 CUC), which turned out to be a lot more convenient given that we were travelling with the baby and luggage. HOW WAS YOUR CUBAN EXPERIENCE? I believe that Cuba ticks all the boxes. We always felt safe in Cuba, the people were warm, architecture, history, cleanliness and value for money makes a total experience. We travelled to the US Virgin Islands, Puerto Rico, Bahamas, Cuba and Mexico (west coast) and Cuba was my highlight. Havana is King. Thanks to Damien for sharing his Cuban travel experience. As for me, I have been to Cuba at least 15 times and my passport has never been stamped. I was therefore very surprised to learn that Damien and his family's passports were stamped; which is why I wanted to share this information on the Experience The Real Cuba blog. Did you get a stamp in your passport? Did you transit in the U.S.? Did you have any problems transiting in the U.S. with a Cuban stamp in your passport? Please feel free to share your travel experience with us so other travellers can benefit from your Cuban experience.